All hills in Wales at or above 500m in height with a minimum prominence of 15m; from the 500m summit of Esgair Saeson to the 1085m summit of Yr Wyddfa. ‘The Welsh 500m P15s’ is a hill list co-authored by Myrddyn Phillips and Aled Williams that lists the 630 hills in Wales that are 500m or more in height and have a minimum prominence of 15m. The list represents the first comprehensive cataloguing of the Welsh 500m P15s and the first known appearance of over 100 Welsh hills in any hill list. In terms of area Wales is a relatively small country, but it is blessed with a variety of upland landscapes that rival those found in other parts of the British Isles, with the land above 500m usually being distinguished as rough mountain or moorland. Generally, the topography of the Welsh uplands above 500m also supports the differentiation between summits using a minimum prominence threshold of 15m; this is not something that would work effectively in the Highlands of Scotland, which is topographically apart from the rest of the British Isles. The conceptualisation of a summit as a mountain or a subsidiary top is arbitrary and as such no attempt was made in this work to categorise a summit to a particular niche. ‘The 2,000-Footers of England and Wales’ by Arthur St George Walsh; list compiled in the late 1920s with detail to one region published in the 1950 Wayfarers’ Journal – 50ft as minimum drop. ‘The Mountains of England and Wales: Tables of Mountains of Two Thousand Feet and More in Altitude’ by George Bridge; published in 1973 by Gaston’s Alpine Books and West Col Productions - 50ft used within the drop criterion. ‘Guide to Wales’ 3000-Foot Mountains: The Welsh Munros’ by Henry Mulholland; published in 1982 by Mulholland Wirral - 50ft used within the drop criterion. ‘The Mountains of Wales: A Walker’s Guide to the 600-Metre Summits’ by Terry Marsh; published in 1985 by Hodder and Stoughton - 15m used within the drop criterion for the sub-listed hills. ‘The 500 Metre Tops of England and Wales’ by Tony Blackburn; overall totals published in a 1985 edition of the Strider journal - 500m as minimum height. ‘The Mountains of England and Wales: Volume 1 Wales’ by John and Anne Nuttall; published in 1989 by Cicerone Press - 50ft/15m as minimum drop. ‘The 500-Metre Tops of England and Wales’ by Michael Dewey; published in 1995 within ‘Mountain Tables: Tables of the Mountain and Hill Summits of England and Wales’ by Constable - 500m as minimum height. ‘The 2000-Foot Mountains of England and Wales’ by Michael Dewey; published in 1995 within ‘Mountain Tables: Tables of the Mountain and Hill Summits of England and Wales’ by Constable - 15m used within the drop criterion. ‘Kirk’s BIG Mountain List’ by John Kirk; 1996 - unpublished but available from the author - 500m as minimum height. ‘Welsh 500s’ by Dewi Jones; 1999 - unpublished - 500m as minimum height. Walsh’s seminal list to the 2000ft mountains of England and Wales was compiled in the late 1920s, but only one complete section of the list was ever published (195o Wayfarers’ Journal). His 50ft minimum drop criterion has subsequently been metricised, to the nearest whole number, with 15m being used in a number of latter day lists. However, it would be decades later before the minimum height of 500m was first explored. ‘The Welsh 500m P15s’ is the first list to use the combination of these criteria to categorise Welsh hills and was conceived in 2004 by Myrddyn Phillips. The compilation of this list involved surveying many of the marginal candidates using a basic levelling technique and in all, over 330 hills have been surveyed using this technique with over 75 summits entering the list due to these surveys. Significantly, 7 new P15 summits above 609.6m / 2000ft were discovered or confirmed through these surveys, the results of which were shared with John and Anne Nuttall and similarly, 18 new summits were also identified that met the P30 requirements of Michael Dewey’s 500m list. In recent years, some of these hills have been more robustly surveyed using survey-grade levelling equipment or Differential GPS / GNSS instruments. Another major task undertaken for the production of this list involved the unprecedented harvesting and confirmation of hill names, and it was through this toponymic research that the authors were acquainted. The hill name has been an integral component of hill lists from their inception, however hardly any real scrutiny has been applied to this datum and none relative to the scale of the research performed here. Initially, Myrddyn Phillips had specifically researched a significant quantity of 500m hill names over an intense 18 month period of local enquiries, while Aled Williams had also been cataloguing upland place names sourced from disparate historical sources. 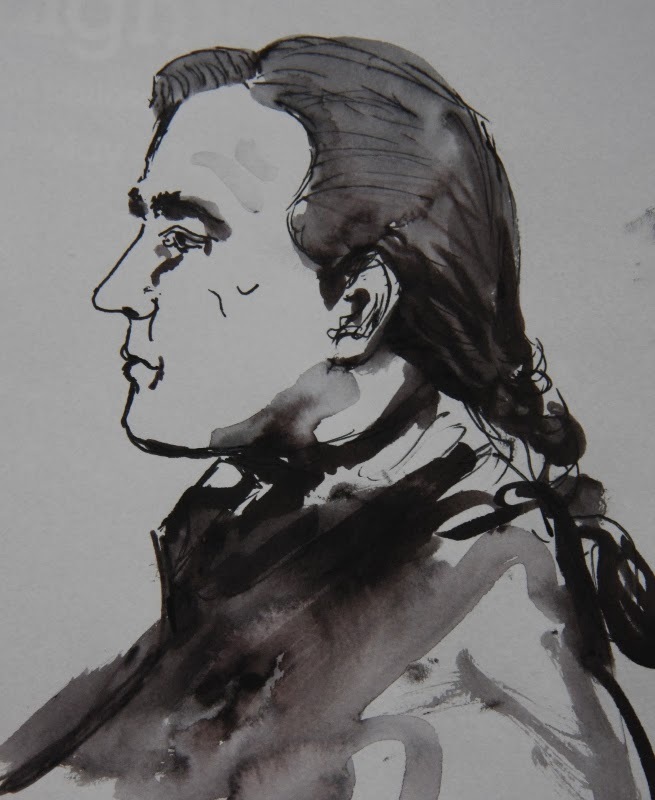 Their mutual interests in names and hill lists naturally resulted in collaboration, with Myrddyn Phillips subsequently concentrating on honing the quality of numerical aspects and Aled Williams embarking on prolonged and detailed local and archival researches on upland place names. An example of a previously unrecorded 500m hill name obtained and validated as a result of this research is that of Esgair Wen (SN 773 605), which at 548m is one the highest hills in the surrounds of Cwm Tywi. This combination of current local knowledge and historical information has dramatically enhanced the quality of the list and renders it unique to what has previously been published. 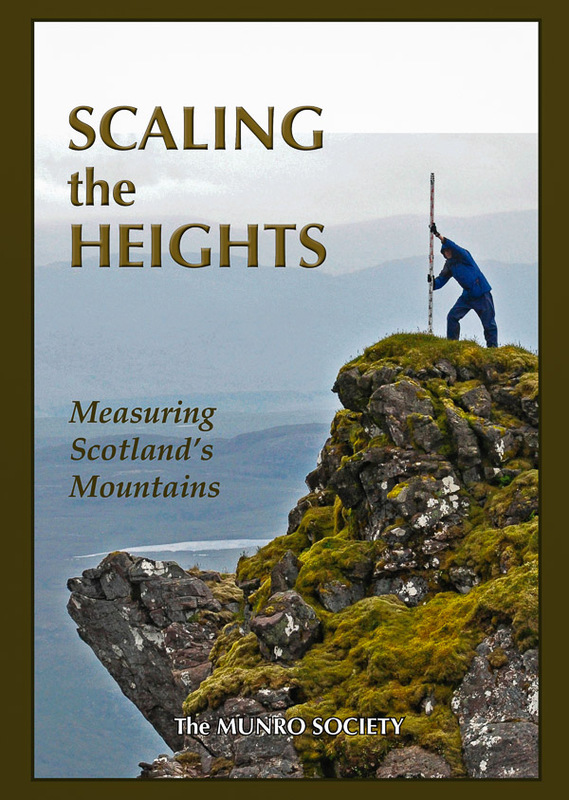 In all 630 hills qualify for the listing with a further 89 hills listed as Subs, which collectively are: 22 summits that are ≥500m in height and with prominences ≥14m but <15m; 62 summits that are ≥490m but <500m in height and have a minimum prominence of 15m; 5 summits that are ≥490m but <500m in height and with prominences ≥14m but <15m (this latter category is known as Double Subs). In recent years, acronyms or short monikers referring to specific hill lists have become increasingly popular in hill-walking circles, and during the compilation of ‘The Welsh 500m P15s’ the authors have used the Welsh word ‘Uchaf (Higher)’ to refer to these hills, with the plural being ‘Uchafion’, since these summits take in the higher tier of the Welsh uplands. The regional totals for these 630 hills and 89 Subs are disseminated in the tables that follow. The regions are threefold: ‘The North \ Y Gogledd’; ‘Mid and West \ Y Canolbarth a’r Gorllewin’; ‘The South \ Y De’, and their boundaries have been carefully defined with respect to topographical and geographical considerations. These regions can also be split into component parts, but for the purpose of this article, the 500m P15 and Sub hill totals will simply be categorised under regions and groups. The border between the regions of ‘The North \ Y Gogledd’ and ‘Mid and West \ Y Canolbarth a’r Gorllewin’ is defined from west to east: from Aberdyfi by following the course of the Afon Dyfi, past Machynlleth and then onwards to the spot where the Afon Twymyn discharges into the former near to Glantwymyn. From here, the Afon Twymyn is followed up to Llanbryn-mair, where the course of the Afon Iaen is taken until the 214.4m high bwlch at SH 931 000 (critical to Pen y Fan) is reached in Talerddig, where thereafter the Afon Carno is followed to its confluence with the Afon Hafren next to Caersŵs. From here, the Afon Hafren is followed all of the way, past Y Drenewydd and Y Trallwng, to the spot on the Anglo-Welsh border where the Afon Efyrnwy merges with the Hafren. 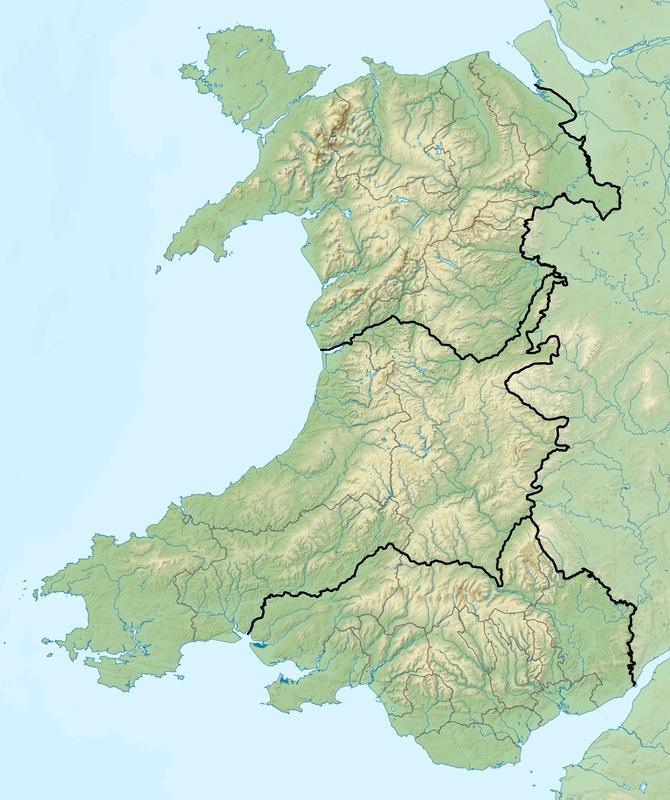 The border between the regions of ‘Mid and West \ Y Canolbarth a’r Gorllewin’ and ‘The South \ Y De’ is defined from west to east: from the estuary of the Afon Tywi near to Llansteffan by following the course of the said river all of the way, past Caerfyrddin and Llandeilo, to the point where the Afon Gwydderig discharges into the former near to Llanymddyfri. From here, the Afon Gwydderig is followed until the c226m bwlch at SN 871 299 (critical to Pumlumon) is reached near to Llywel, where thereafter the stream that flows through the marsh of Y Gors is taken up to its discharge into the Afon Wysg below Trecastell. The Afon Wysg is then followed, past Pontsenni and Aberhonddu, to the spot where a stream enters the Wysg at SO 126 221, which is subsequently followed to the 189.0m bwlch at SO 142 225 (critical to Waun Fach), found next to the village of Bwlch. The Afon Llynfi is then taken from this bwlch and followed all of the way, through the middle of Llyn Syfaddan, past Talgarth and to the spot where it flows into the Afon Gwy at Y Clas-ar-Wy. From here, the Afon Gwy is followed all of the way to Y Gelli Gandryll, specifically to the spot on the Anglo-Welsh border where the Dulas Brook enters the aforementioned river, at which point the national border is then taken southwards to its termination in the estuary of the Afon Hafren. It is the aim of the authors to have the list to the Welsh 500m P15s published in its entirety and via a physical platform within the next five years, but until then continued surveying and hill-name research will further the refinement of the list.